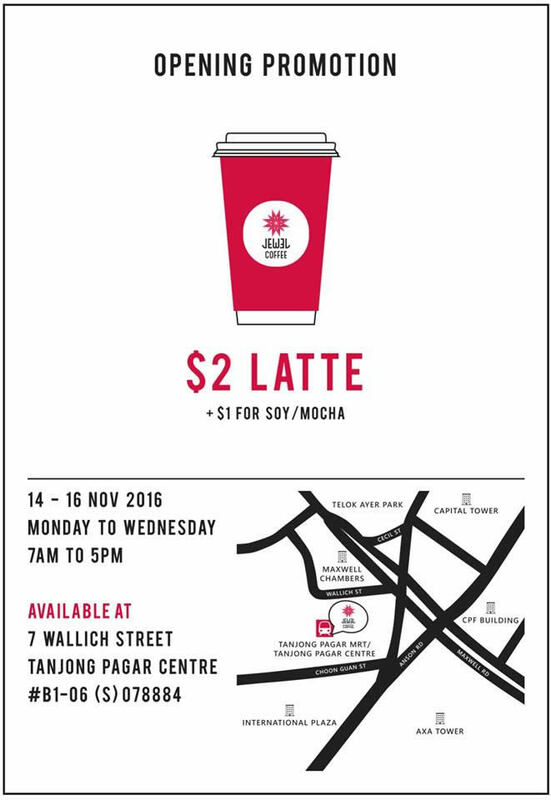 Jewel Coffee is celebrating its opening at Tanjong Pagar Centre with a $2 Latte promotion from 14 – 16 Nov 2016 from 7am to 5pm daily. This is to introduce their newest CBD shop! Located at the MRT station .It’s hard to miss it at #B1-06 as you leave the gantry and head up the escalators. Jewel Coffee is accessible, approachable for consumers, prepared with the highest standards, consistency and speed. Coupled with its own sovereign concept, each store is designed differently with a deliberate divergence that makes every visit a refreshing Jewel Coffee experience.